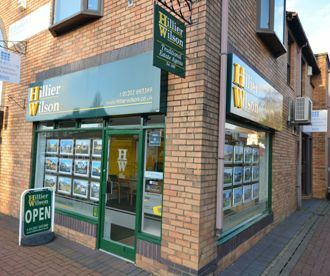 Hillier Wilson estate agents in Broadstone was established in 1992 and have extensive experience of selling property in Broadstone, Corfe Mullen, Creekmoor, Merley, Lytchett Matravers and surrounding areas. Over the years we have developed a comprehensive marketing strategy combining the benefits of modern day technology and a wealth of expert knowledge of the market place to ensure we live up to our commitment to customer satisfaction. Our business has grown as a result of being Broadstone’s longest serving estate agents with over 200 years combined service in Broadstone itself and we can advise, with authority, on properties for sale in Broadstone, Corfe Mullen, Creekmoor, Merley, Lytchett Matravers and surrounding areas. Choosing where you want to live is a very personal matter and that’s why Hillier Wilson take pride in our reputation for always treating our customers as individuals. Whether buying or selling we will offer a knowledgeable, professional and individual solution. Using in depth colour particulars on every property together with distinctive For Sale boards, high quality window displays in our double fronted office and a comprehensive marketing effort we can effectively match suitable purchasers to our sellers. Our commitment will always be to ensure the best possible market price is achieved for our client. Hillier Wilson have also advised on a number of development projects over the last few years and have handled the marketing of many brand new homes. We are actively involved in the local community by way of advertising, sponsorship and assistance with local events. Over the years we have supported charity auctions, sports teams, fetes, theatrical productions and advertised in local magazines and programmes.